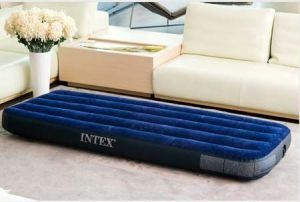 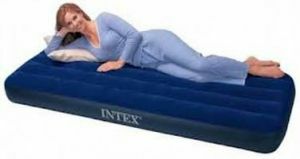 With plush flocking on the top, this airbed gives a more luxurious sleeping surface and helps keep bedding from slipping. 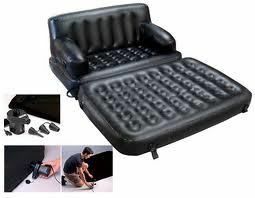 Flocking cleans easily and is waterproofed for camping use. 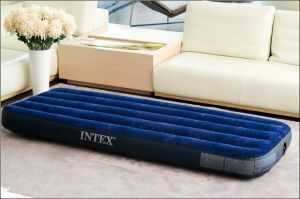 The wave beam construction provides a uniform sleeping surface. 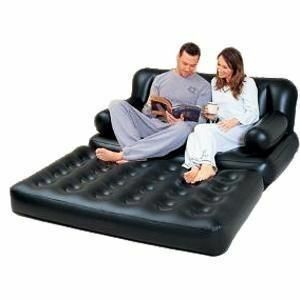 Crafted with cozy flocked tops and heavy gauge vinyl that is durable and easy to maintain. 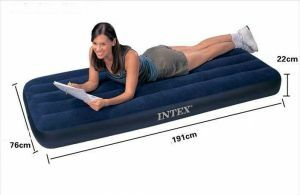 Quality tested 20.8 gauge (0.53mm) waterproof flocked top with 14 gauge (0.3mm) vinyl beams and 15 gauge (0.38mm) bottom. 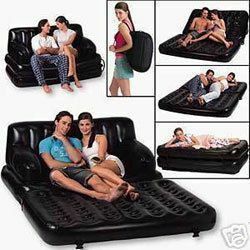 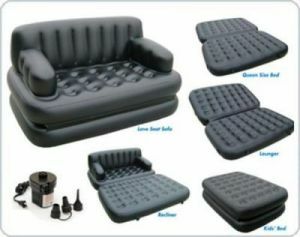 Inflatable furniture: sofas, mattresses and lie, Any marked for weight, bearing not more than 136 kg.